You can find more Accomplishments Big and Small posts on the Thursday 5/16 Link List. I used to be a pre-teen girl who had to check her urine. I am now an (almost) 45 year old woman who checks her blood. I used to be tied to a strict exchange diet which forced me to eat certain things at certain times and forbid sugar. I am now able to count carbs and make food choices and bolus to cover what I’m eating when I want to eat it. I used to be required to take 5 or more injections a day to get the insulin I needed. I am now hooked up to my pump and insulin is continuously dripping into my body. I used to be surprised to find a very high or very low number on my meter. I am now usually given a heads up by my trusty Continuous Glucose Monitor. I used to be embarrassed and ashamed for people to know I had diabetes. I am now proud to educate and advocate and let people know what life with diabetes is like. 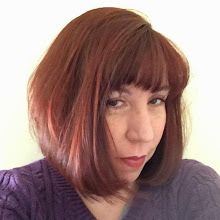 I use to be a brand new diabetes blogger who hoped to fit into a community of people like me. 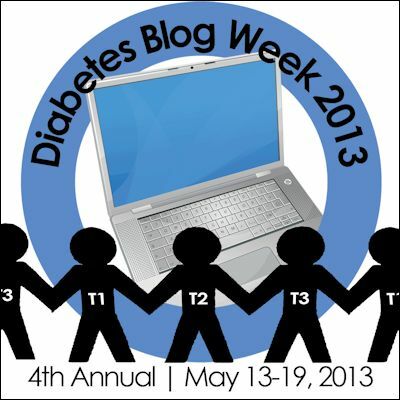 I am now thrilled and excited to be sharing Diabetes Blog Week with over 200 other bloggers around the world. I used to be alone with diabetes. I am now a grateful and happy member of the Diabetes Online Community! But I still hope to some day say . . . . . I used to be a person with diabetes. TOTALLY BESIDE THE POINT: almost 45! i thought you were 23. No way are you 45! I really, really love this post. Great post, Karen. Love the comparisons and how you highlight exactly what the accomplishment is. And how awesome that we're not alone anymore! Thanks for doing what you do, for being awesome, and for all those great accomplishments big and smaller. I loved this post, comparing then and now. You have a lot to be proud of. Thank you for making this happen...and for helping others see that they are not alone. Luckily, I've never felt alone, thanks to you and others! 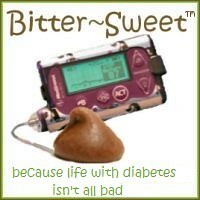 I love this post!Thank you for creating Diabetes blog week! I can relate to pretty much everything on this list. But if the last one never comes true, seven out of eight isn't bad! 1. I also had no idea you were 45! Love this post...especially the last line! Wow - Karen! This is really super powerful.